Enjoyment is a surplus. It cannot be invested. Enjoyment is of the moment. Very much like sports. In the English language, there is something about the word “sports” which indicates an annihilation of the exterior world. There is this moment in it of complete renunciation of the world, and of being one with oneself. On the other hand the word ‘game’ suggests a competition, a competitor, an engagement with the world, calculations, schemes. The Hollywood Romantic comedy “What Women Want” (Nancy Meyers; 2000) dwells a bit upon this mutual antonymic nature of seemingly synonymous words. A game is also however a mix of both these. There is a level of enjoyment, there is also a level of planning. These two registers also belong to two different domains. The domain of game is the domain of language. It is a project of knowledge. It has well-laid rules. The FIFA insists on “fair game”, the fair game is assessable, statistics can prove it. You can even give awards to the team which is “the fairest of them all”. The level at which the teams engage each other can also be known. National teams usually have set formations, like 4-4-2 for England. They engage in tactics, they play defensively or aggressively, with short passes or long volleys, etc. These are known facts. But the game of football also has a sport inbuilt into it. These are the unknowables and the unexpected. As usual, this is the feared. The unknowable is precisely so because of its particular relation to language. How do we describe a game of football? We can of course inform the score. We can even say such and such players played well. It is not just football, but any game has an inbuilt unsayability, the precise moments which are the most memorable. However, precisely due to the security which language offers, one cannot always remain unfazed when confronted by unsayability. For language, like money, is a project of substitution. It is as if one can live one’s life once more. If anything, language is a shield to losses. It is in this context that sports reporting becomes important. There is a new context, now, in which the print has to be complimenting the visual, such that the newspaper is not anymore about information but about experience. The newspaper should be able to tell us, such that we are not deporived of the experience, or that we can even relive the experience. This presents a unique problem that the field of action has to be converted to a field of words. On the one hand there is the inalienable enjoyment of the one who plays. Then there is the enjoyment of the audience whose presence at the venue again minimises its mediated nature, though of course this is not to discount the market generated gaze of enjoyment they project upon themselves. But beyond this is the need for the print, or even the visual to replicate, to lay out the field of the game to the field of knowledge. In Cricket this has become an over-the-top project with statistics covering every aspect of the game such that the game itself has now become just a set of numbers, with count downs and projections however ironically adding up to the spice of the event, very much like the enthusiasm over the exit polls even as we “know” they tend to go wrong more than otherwise. One also observes that Cricket has become more amenable to language such that each quirk, each freak of a ball or a bat soon becomes a genre unto itself. But football has largely proven itself a difficult task for this knowledge game. I do not forget here that in the past few years football too has seen a series of newer data, not just of offsides, corners, free kicks, shoots, shoots on target, but also number of passes, number of successful passes, area-wise concentration of players, etc. But Football has not been inventing words as much as Cricket do. Wiredu and Anderson (2008), in their study, have pointed out that the metaphors used by commentators are more often their own personal assessment of the game rather than describing the action. The question of course is about this unrepresentability of action itself. A more obvious amenability of the Cricket institution towards a knowledge project is the situation where the umpires have been progressively drained of their human content. To reduce fallibility is one thing, to cast it out a very different thing. While umpires get reduced to their idiosyncrasies, what we have here is analogous to our architecture where the apparent transparency heightens the contrast of the moving figures inside, but the moving human bodies inside is just another piece of show. In effect, dehumanisation. While Ashis Nandy (1989) claims that Indians love Cricket because it is a game of chances, it is to be remembered here that the chances referred to are cosmic chances, mostly that of rain. Though rain or snow cannot affect the game (as long as the ball can still bounce off the ground), it is also true that football is equally a game of chances, very human chances, and in a long shot, even of cosmic chances. 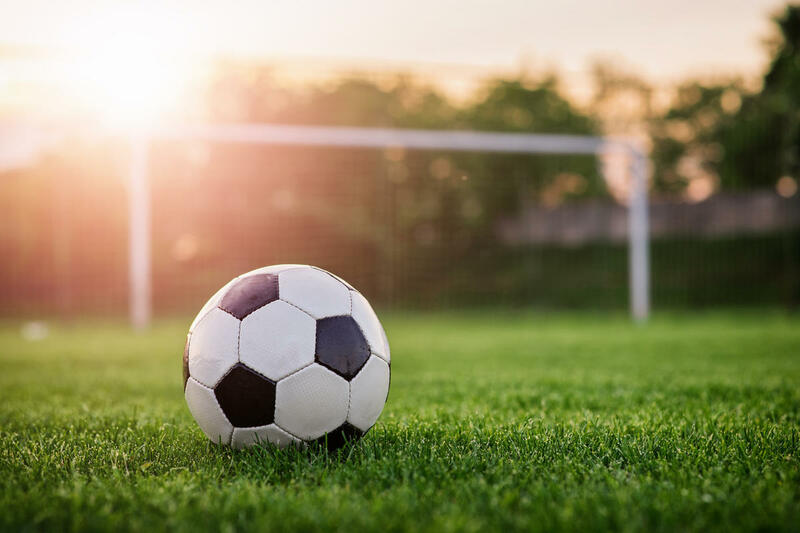 Ironically, however, one observes that in a football match the match itself becomes the talking point, due to the peculiarity of the form, rather than the individual players. Thus, in a match of football, there are many more metaphors deployed to describe the game rather than the individual players (Wiredu and Anderson, 2008). The superhuman figures and dehumanisation, as history has shown us more than once, is less than an irony as it is a banality. That enjoyment, which is always a surplus, has to be conveyed to the project of knowledge, has required a deflection in the project itself. Elsewhere I have analysed the relationship of the media representation of fandom or hooliganism as a way of making up for the impossibility of thoroughly representing the form of football (Shafeeq, 2013). Even the category of fan versus the category of hooligan makes tangible difference in terms of welfare and social engineering (Lewis and Scarisbrick-Hauser, 2005). The point is to not lose sight of what Foucault and Said after him taught us, that the knowledge project is neither isolated nor innocuous, but is engaged in a complex discursive site in which identities are constantly created and recreated. A football fan, or any sports fan, is also an identity. But a football fan is moreover so, because the effect of football tends to need the football fan as the observable locus. All this is not to say that this unsayability somehow makes football a game outside capitalism or something which can, with some tweaks, present us with a broad anti-capitalist front. Just like fetishisms drive the market forward, so does the unsayable drive the knowledge forward. But football is also an opportunity. Nandy, Ashis. 1989. The Tao of Cricket. New York: Viking. Shafeeq K., Mohamed. 2013. “In-form: Football as the Popular Game of Malappuram”, Third Front, Journal of Humanities and Social Science, Vol.1, No.1, February 2013. The writer is a Post Doctoral fellow at Manipal Centre for Humanities. He holds a PhD in Cultural Studies. His research interests include Cultural Theory, Sports Cultures, Minority Studies and Indian Literature. Kerala gets her due: Malayalam Finds a place in Saudi Arabia’s popular FIFA World Cup Squad Video!